OUR FIRST THREE ABACOS CHARTERS SOLD ARE 10% OFF!! 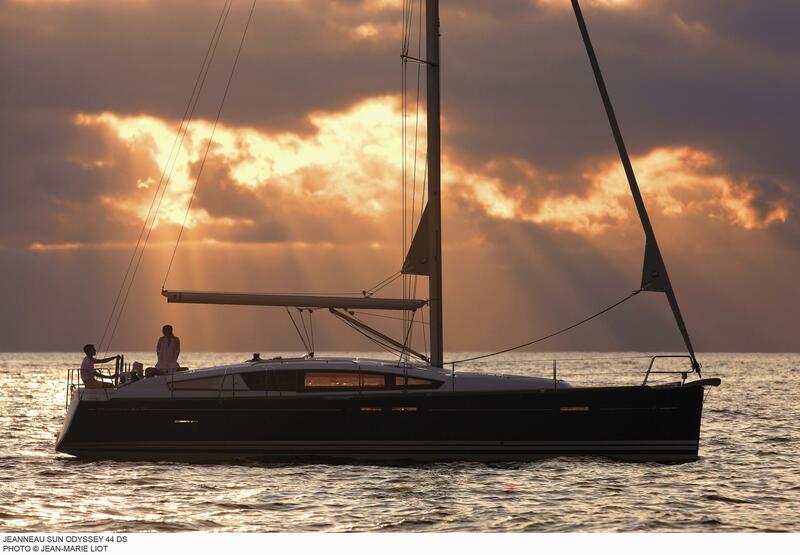 Rather than return to his usual Bahamian haunts, a sailor veers north after crossing the Gulf Stream and finds new adventures amid the Abaco Islands. Having spent 30 years cruising to fascinating places both near and far, I keep one destination at the top of my list: the Abaco Cays. 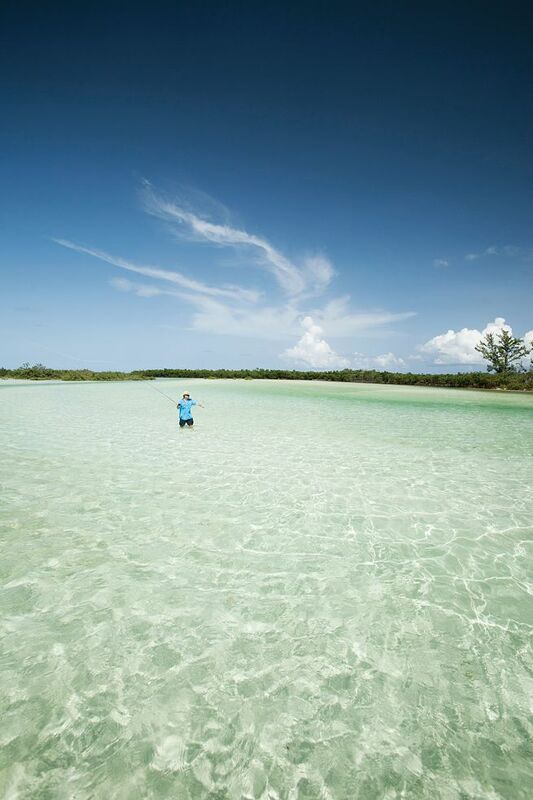 Lying 135 miles east of Florida, the Abacos are as accessible as they are exotic. They can be civilized yet wild, offering quiet seclusion or a fun crowd. You can fish, dive, cruise, race, comb the beach, party until you drop or simply chill out. Above all, the visual splendor of ­azure-colored water and unspoiled beaches will have you coming back for more. Reaching the Abacos from Florida requires crossing the Gulf Stream, and one of the more popular routes is Palm Beach to West End on Grand Bahama Island, a distance of 55 nautical miles. Pick your weather window and avoid a north wind. You’ll need to check in with Bahamian customs and immigration at Old Bahama Bay, so go to bahamas.com/boating-enter-exit for the required documentation and fees. From West End, cross the shallow Little Bahama Bank to either Walkers Cay or Great Sale Cay, and from there island-hop along the northern Abacos, eventually reaching Great Abaco Island and its outlying cays. 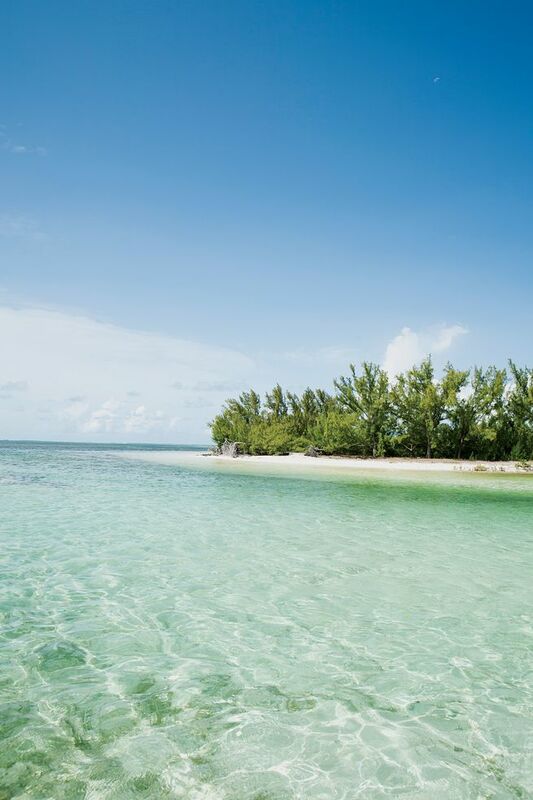 One of our all-time favorite anchorages is off Tahiti Beach on Elbow Cay, the popular island east of Marsh Harbour. From Sandy Cay, it’s just 5 miles to this picture-perfect beach that looks like a scene from the movie South Pacific. The anchorage is close to Lubbers Quarters, a small island of private homes and Cracker P’s restaurant, a popular gathering place for cruisers. We enjoy a day at the beach and a fun dinner at Cracker P’s. 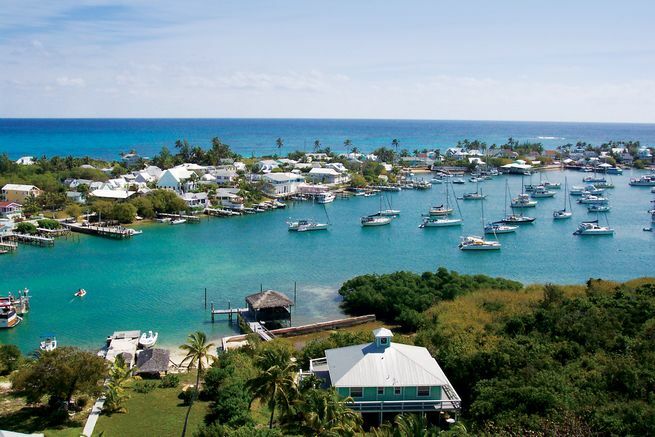 Elbow Cay is home to beautiful Hope Town and its iconic red-and-white, candy-striped lighthouse. We pick up a mooring in the inner harbor, although we have sometimes anchored out near Parrot Cay, being careful to stay clear of the Albury’s Ferry Service route. A delightful walk through town reveals that things haven’t changed since even our first visit years ago. The narrow streets are not much more than paved paths, and where allowed, the occasional car or pickup truck typically creeps along at idle speed. The houses, decorated with gingerbread trim and surrounded by white picket fences, are painted in bright tropical colors that complement the blue sky and water. 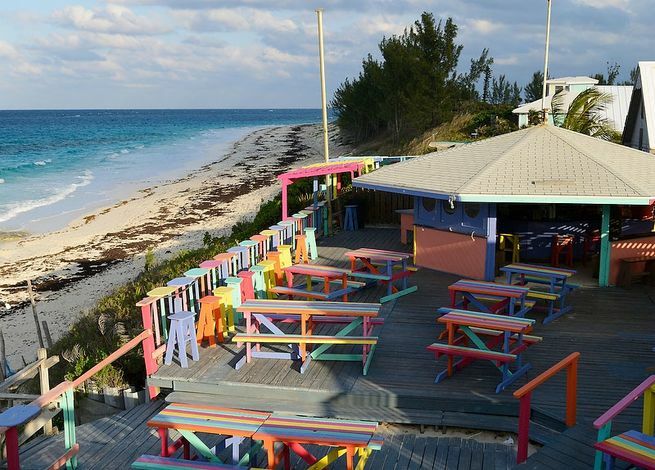 Our next stop is Great Guana Cay, where we drop the hook in Fisher’s Bay and hike over to the ocean side for our obligatory drinks and munchies at Nipper’s, the ever-popular bar and grill high above the beach. If you time things right, you can catch a two-day live concert by the Barefoot Man. His songs, such as “Kiss My Glass,” “Save the Lap Dance For Me” and “When They Cut You Off at Nipper’s,” give you an idea of what it’s like to hang out here. You won’t forget it. On second thought, you probably will. The next morning brings calm seas, and we navigate Whale Channel to begin the last phase of our Abacos adventure, first visiting the quaint settlement of New Plymouth on Green Turtle Cay and later getting a slip at the Green Turtle Club, where we enjoy dinner and drinks at the Yacht Club Pub. From here we work our way back to Great Sale Cay and West End before crossing the Gulf Stream and returning to modern civilization. 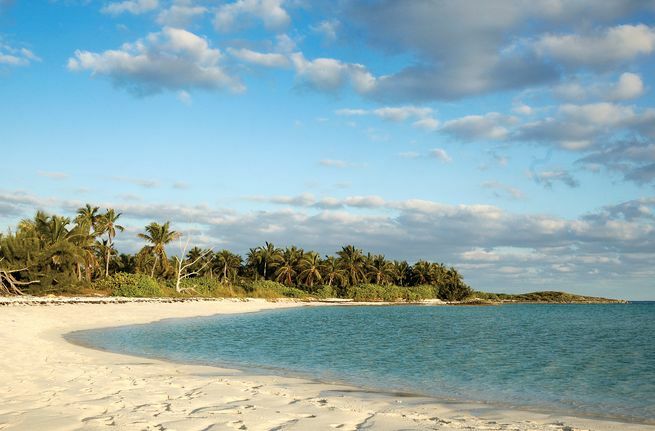 Once again, the Abacos have treated us to memorable days of ­island-hopping. If you can’t get there on your own boat, check out the charter companies in Marsh Harbour or talk with your favorite charter broker about a larger crewed yacht. Whether you choose power or sail, the Abacos are guaranteed to make it to the top of your cruising list. This is now an island of contrasts. On the one hand you can enter the luxurious world of Baker’s Bay Golf & Ocean Club, the new resort development on the northern end of the island. Many years ago this site, once named “Treasure Island,” was a cruise ship destination where passengers would be ferried to the sandy beach and tiki-hut pavilion for “an island experience.” But in 1993 it was closed after too many trips were cancelled due to the frequency of rough waters in nearby Loggerhead Channel. Today this resort boasts a Tom Fazio designed Par 72 golf course, private residences, a clubhouse with pool and spa, and a first class marina that can accommodate yachts up to 250-feet. On the other hand, there is Nipper’s, the ever-popular beach bar and grille on the oceanside of the island. If there’s room to anchor in Settlement Harbor you can drop the hook and easily walk to the bar. Otherwise, anchor or pick up a mooring in nearby Fishers Bay, being careful to avoid the big, submerged rock off Big Point (hopefully marked with a white PVC pipe). Walk past the Dolphin Beach Resort and the Guana Beach Resort and then cross the island to get to Nipper’s. It’s an enjoyable walk. If you like to party and enjoy a fun crowd, visit Nipper’s on Sunday during its weekly pig roast. The pool scene can get a bit raunchy, but hey, what happens at Nipper’s hopefully stays at Nipper’s. Many cruisers, including ourselves, visit the southern Abacos after cruising the Exumas. From the northern Exumas, we stop at Spanish Wells on Eleuthera and then make the ocean crossing of 50 miles to Little Harbour. There’s 15 feet of water over the Little Harbour Bar entrance, and the reefs on each side show themselves in just about any weather. We’ll start our Abacos cruise by dropping the hook off the beach near Pete’s Pub in Little Harbour. The entrance to the harbor is shallow, and if your vessel draws more than 4 feet you’ll need to wait for mid to high tide. During low tide, we’ve anchored off Lynyard Cay and taken our dinghy into the harbor. After celebrating our safe ocean passage with a cold Kalik at the pub, we visit the beachfront gallery portion of Pete’s Pub and Gallery that sculptor Peter Johnston built in the early 1990s. On display is artwork created by his father, Randolph Johnston, and his children Pete, Greg and Tyler, as well as other local artists. A tour of their bronze sculpture foundry can be arranged. The cave where Randolph and his wife, Margot, first lived can be seen from the water, and we scamper up the coral rock to peek inside. **A Closer Look At The Abacos: **Elbow Cay, with the ever-picturesque Hope Town Harbor and candy-striped lighthouse, is probably the most popular of all the Abacos, and we usually spend a good part of our time there when we’re in the Bahamas. Likewise, many non-boaters vacation on Elbow Cay, flying into Marsh Harbour and then taking the Albury ferry to Hope Town. But there is a lot more to the Abacos than this iconic destination, and over the years we’ve had the good fortune to visit many of these charming islands. This is where most boaters and tourists begin their exploration of the Abacos, as the airport is located here as well as a number of yacht charter companies. We’ve been to four different marinas here and have enjoyed each of them. 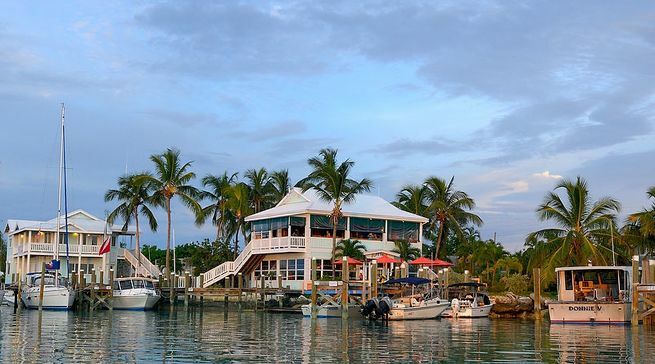 The Conch Inn Hotel and Marina is located in the southeast part of the harbor and is home to The Moorings as well as Sunsail Charters. Both sail and powerboats are available. Curley Tails Restaurant and Bar serves good food and drinks and is located on the premises. To arrange for an exciting dive trip, check out Dive Abaco. Adjacent to the ever-popular Snappas Restaurant is the Harbour View Marina that offers excellent security and privacy. Across the harbor on the north side is Marsh Harbour Marina, which includes the popular Jib Room Restaurant. We never miss the Wednesday night “Chicken & Ribs” special with live music. 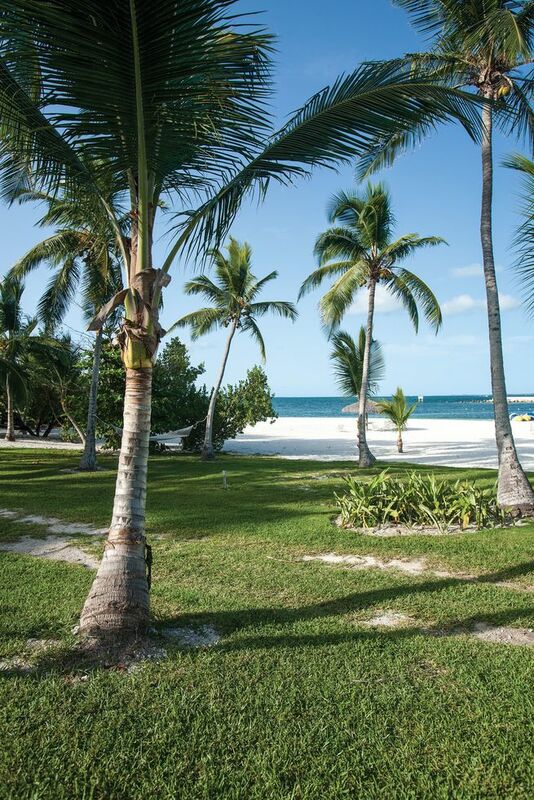 Within walking distance to the main harbor, the Boat Harbour Marina is home to the Abacos Beach Resort. If you’re looking for the amenities of a resort (sandy beach, villas, pool, etc.) this is the place to go. 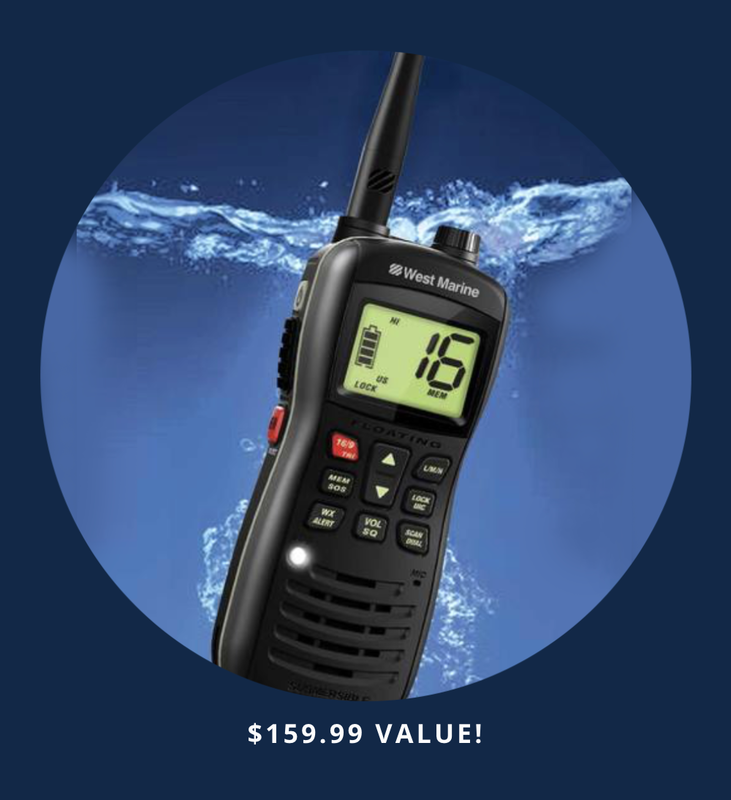 Marsh Harbour is a good choice for provisioning your boat or having it serviced. Grocery stores are within walking distance, and the full service Marsh Harbour Boatyard has an 85-ton hoist. There are two areas worth exploring on this small island of 450 souls – the New Plymouth Settlement off Black Sound and the Green Turtle Club in White Sound. Shallow draft boats can enter Black Sound, which has a marked channel that carries 4 ½ feet at MLW. Once inside, there’s room to anchor in 6 to 10 feet of water. Otherwise, drop your hook in 6 to 7 feet outside Settlement Harbour. New Plymouth is a charming, friendly little settlement with a few casual restaurants, a hotel, a couple of grocery stores, some gift shops and a hardware store. During our most recent visit we were fortunate to find the door open to Vert’s Model Ship Shop with Vert Lowe himself sitting at his worktable. 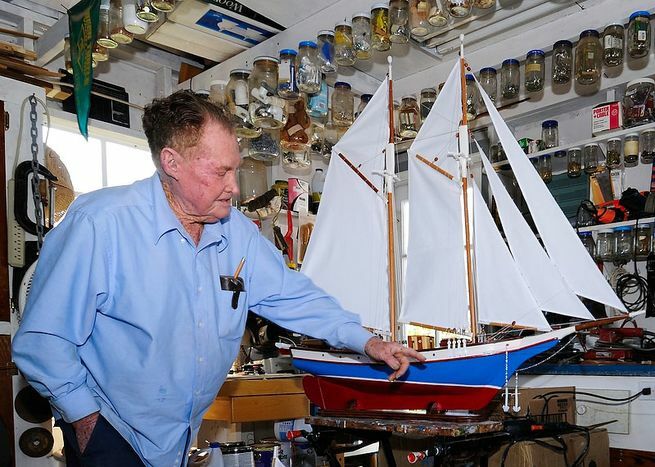 His models of schooners, sloops and workboats are works of art, and talking with him is a real treat. We bought a beautiful half hull of a Bahamian sloop which today hangs at the entrance to our home. For a top dining experience, thread your way into White Sound and get a slip at the Green Turtle Club. You can’t beat their marina rates during off season, when your dockage fee will be deducted from your food and beverage bill at the restaurant. After a fine evening of culinary excellence, we like to have a nightcap at the charismatic Green Turtle Yacht Club Pub. If you’d like to take a break from staying onboard or if you have extra guests, the waterfront rooms are reasonably priced. On our way up the Sea of Abaco the next day, we stop and pick up a mooring at Pelican Cays Land and Sea Park, 5 miles from Little Harbour and known for its bountiful reef on the seaward side of Sandy Cay. We don our wetsuits, masks and snorkels and are treated to an underwater show of tropical fish and colorful plant life. Exposed to the ocean surge of the North Bar Channel, we move from the park’s mooring field to an anchorage between Sandy and Cornish Cays, where we spend a calm night. Only two other boats are in the anchorage, and a cool, salty breeze filters through our boat while the sun sets behind a line of palm trees. A short trip brings us to Man-O-War Cay, where we pick up a mooring in the harbor. Known for its boatbuilding heritage, the island was settled in the late 18th century by British loyalists. Today, its descendants, many of whom are part of the famous Albury family, continue to excel at boatbuilding, fishing and carpentry. This is a quiet, conservative (dry) settlement, so if you’re looking for night life, or even an alcoholic beverage, you’ll need to hop over to another island. From Man-O-War, we run across to Marsh Harbour and get a slip at the Conch Inn Marina. 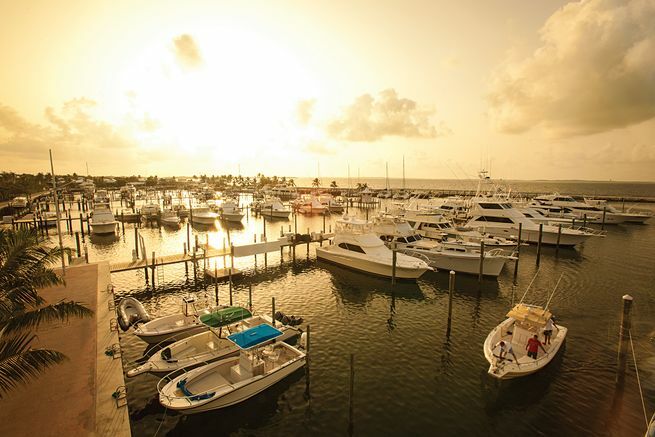 With a population of more than 5,000, Marsh Harbour is the hub of activity in the Abacos. 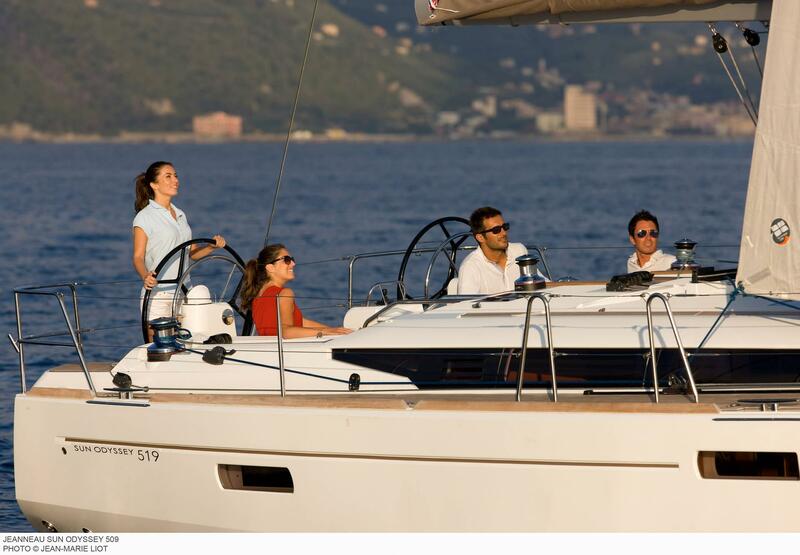 It is also the jumping-off point for those flying in from the States or Europe who are chartering from the well-known companies headquartered here such as The Moorings and Sunsail. Since it’s Wednesday night, we take our dinghy across to the Jib Room at the Marsh Harbour Marina for its weekly barbecue bash, which includes live music and dancing. While others consider Marsh Harbour only as a point of entering or leaving the Abacos by air, we enjoy spending time here and getting to know some of the locals. 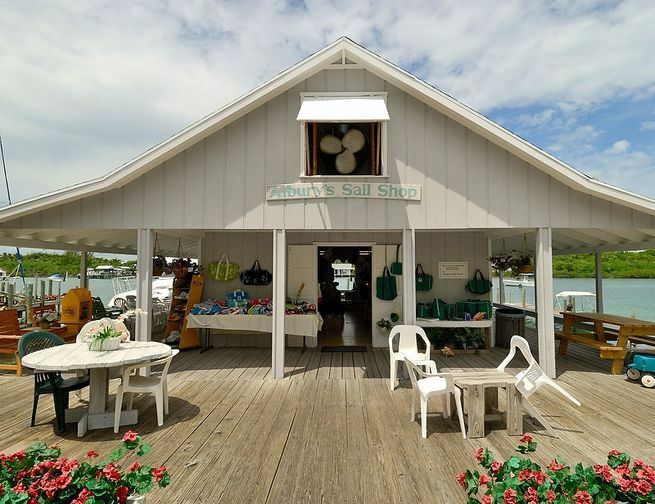 With its reputation as a center for boat building and repair, Man-O-War is especially interesting to visiting boaters. Located across from Marsh Harbour and next to Elbow Cay, it’s reachable by private boat or the Albury Ferry. Entering the harbor, look for a double arrow sign in the middle of the narrow channel, and then turn to starboard to anchor in Eastern Harbour or turn to port where dockage or moorings are available at Man-O-War Marina. To get an idea of what life used to be like here, read an excerpt from Haziel Albury’s “Man-O-War, My Island Home”.Today, this little island continues its conservative views (no alcohol is served), as well as its simple, quiet lifestyle. The friendly, cozy Hibiscus Cafe has some great conch and fish specialties, and there are two small, but well stocked grocery stores. If you’re looking for nightlife or a crowded bar scene, you’re on the wrong island. (See below.) You can easily walk around the entire island or rent a golf cart or bicycle at the marina. Many of the houses with white picket fences will remind you of quaint New England fishing villages. 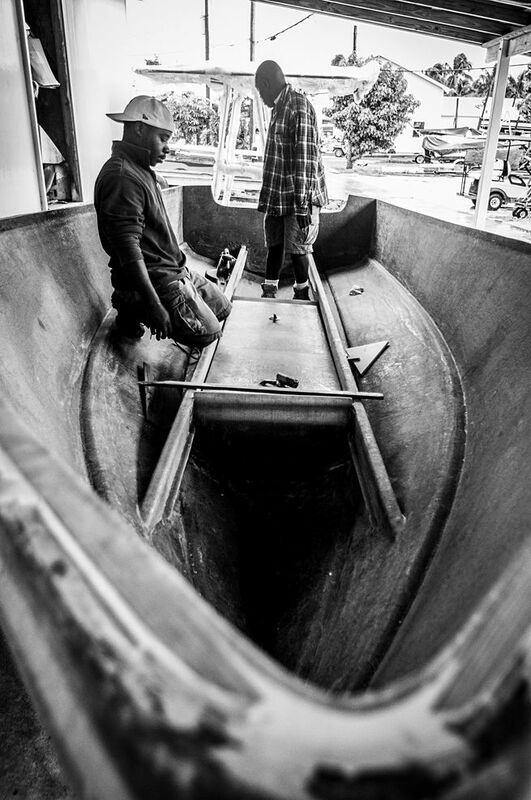 We always stop by Albury Brothers Boat Building to see these famous outboard skiffs being built, and we never miss stopping at the Sail Shop, where all things canvas are made – tote bags, duffle bags, hats and more. Neither of these Cays offers anything more than a safe, protected anchorage, and they are located in the northeastern part of the Abacos chain. We’ve used these anchorages for our trips coming and going, and they’ve often been a welcomed refuge in foul weather. 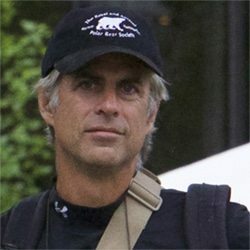 During one such time, we gladly dropped our hook in 7 to 8 feet of water tucked into the bight between the island and the row of submerged rocks to the south. Years ago these were two separate Cays, but a hurricane permanently changed the landmass creating one larger Cay. The ruins of a U.S. missile tracking system still remain, and a “signing tree” exists where boaters have left something to show that they’ve been here. We once dropped the hook on the west side of Great Sale along with several other boats, only to find the wind clocking around and creating a lee shore. With everyone else, we quickly moved inside the bight on the southwestern side. While waiting for the weather to improve, we were able to land our dinghy and walk our dog, but that’s about all one can do here. But in a real blow, you’ll be glad to be here. Other good anchorages of refuge include Powell Cay and Manjack Cay. Spanish Cay, which has a Customs and Immigration Officer, also provides dockage and fuel. 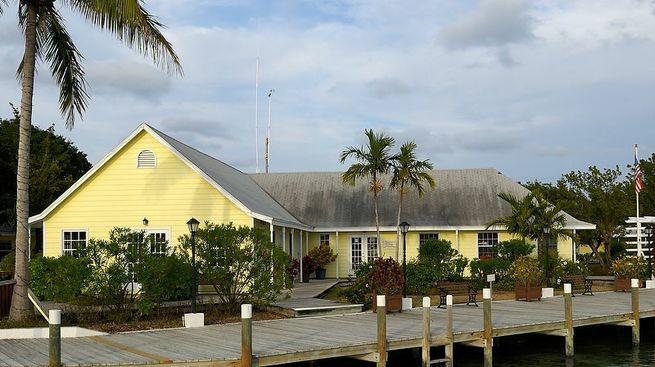 Walkers Cay not only features a Customs and Immigration Office, but a good marina that caters to sportfishing yachts. In fact, many boats travel directly between Walkers Cay and either Stuart or Fort Pierce, Florida, a trip of about 90 to 100 miles.